All Jupiter Foothills Estates homes currently listed for sale in Tucson as of 04/23/2019 are shown below. You can change the search criteria at any time by pressing the 'Change Search' button below. 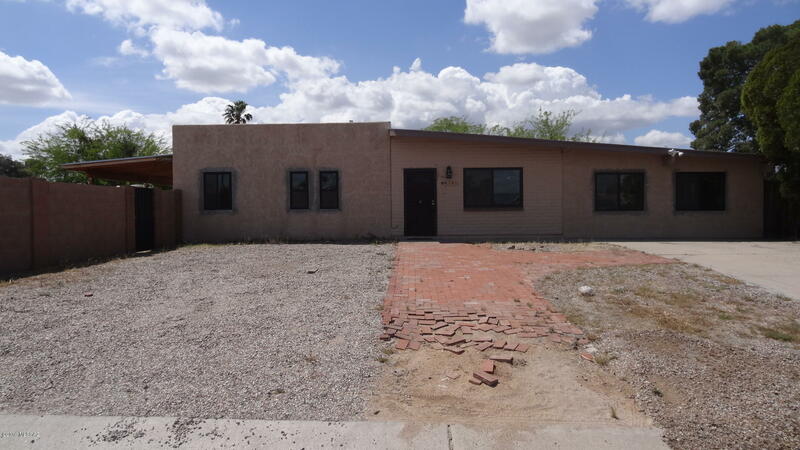 "Spacious 3 bedroom 2 bath home with family room & Arizona room on a corner lot. Could use a little TLC but tremendous value. Open concept kitchen perfect for entertaining features travertine tile counter-tops with full tile decorative back-splash & beautiful cabinets with plenty of storage. Spacious floor plan with tile in great room, family room, kitchen, dining & bathrooms. Large back yard with covered patio. Nice front yard with deco rock. Short term financing available for non owner occupant"